Ships from United States. Most customers receive within 4-18 days. • Honor 8 is powered by a 2.3 GHz octa-core CPU built on a 16nm architecture. 4GB of LPDDR4 RAM enables flawless multitasking and seamless gaming. 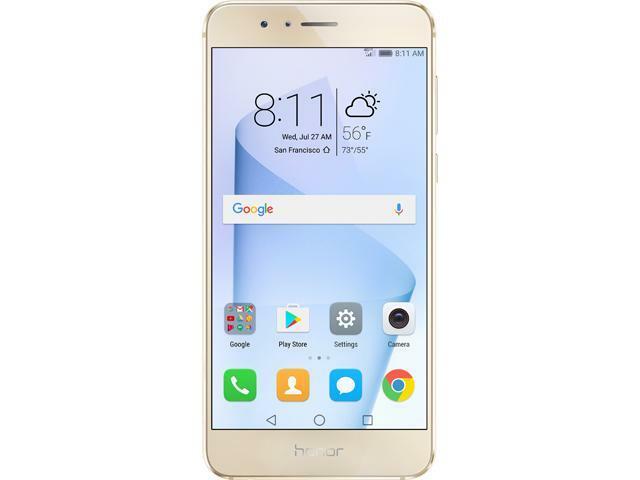 • The CPU chipset contains an i5 co-processor, which controls Honor 8's sensors and other features. The i5 co-processor works aligned with the Kirin 950 SoC chipset to increase processing speeds, response times, and battery life. 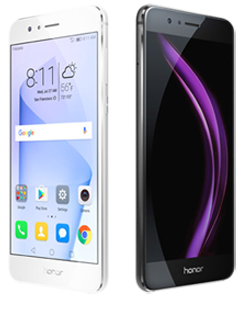 • Honor 8 has a rapid smart file processing system for a smooth user experience. Brighter color, smarter visibility control, more details! 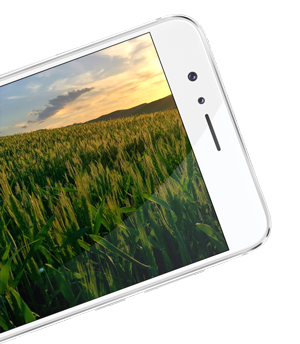 Honor 8's 5.2-inch FHD display equipped with 96% high color gamut (NTSC), color enhancement and dynamic pixel-level contrast adjustment technology definitely brings a great view experience. By filtering out part of blue light to reduce eye strain, the eye-care mode makes the view experience even more comfortable and safer. • 3000mAh large battery supported by Smart Power 4.0 maximizes its stand-by time: 1.77 days for normal usage and 1.22 days for heavy usage. Watching non-stop compete on twist ? Honor 8 gets you covered with powerful 10-hour offline video playing. • 9V/2A fast charging technology promises a 47% charge in just 30 minutes. In addition, Honor 8 gives you a two-hour phone call or six-hour offline music listening with just 10-minute charge. * Honor 8 only supports 9V2A charging when used with the factory-provided charger. Charging times may vary depending on the charger used and the ambient conditions. Don't want to hold your phone to have a talk? The high-gain microphone, voice plus technology and volume amplification feature release your hands without sacrifice the audio quality at both end of the line. Don't forget to register for your free 3 months of screen protection ("Screen Protection"). 5.73" x 2.80" x 0.30"
This item is covered by A2Z E-Solotions Return Policy. Pros: Good camera, very good fingerprint log in. Much faster than my Google Nexus 6P. Cons: I am 75 years old and am not a computer geek. I have not been able to set up photos sharing with emails, WhatsApp, etc. I went to my service provider T-Mobile for help. They say it is my phone software that would not allow sharing. I am HOWEVER able to share photos on Wechat. Can you help? On behalf of everyone at Huawei, I would like to apologize for the trouble you had experienced with your Honor 8. We would like to gather more information about this problem, please send us a message to [support.us@hihonor.com] or feel free to contact our hotline support at (1-844-524-6667) Monday - Sunday 7:00 am – 9:00 pm (CST) an agent will be happy to take your call and give you further assistance. Cons: 1) Battery quality poor, it will automatically shut down in lower temperature (20 degrees or below), at that time it shows only 1% battery hold. 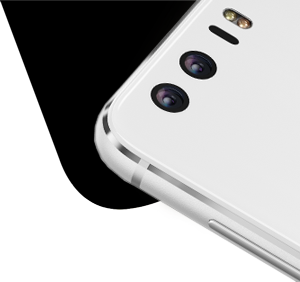 It is too bad to hear that you did not have a good experience with your Honor 8. In order to better assist you with this issue we need more information to provide you accurate information. We kindly ask you to send us an email to,support.us@hihonor.com, with detailed information of this issue, one of our representatives will be more than glad to assist you. - Fingerprint sensor very fast. - Camera is good. Has a lot of options. Other Thoughts: - Needs a case as phone is very slippery. We are so glad to hear that you are enjoying your amazing Honor 8! Do you want high-quality photos under macro, black light, low-light, and complex conditions? No problem for the Honor 8. The hybrid auto-focus enables laser focus for short range, precise depth focus for long range, and contrast focus — each working together to help you take better pictures in complex lighting conditions day and night. Pros: I bought it for almost 1 year ago. Fast, Had no problem with any apps. with C tube changing is faster. It is great to hear that you are pleased with your spectacular Honor 8! 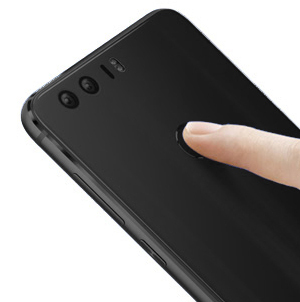 The Honor 8 includes a separate infrared module with built-in IR codes for popular products, allowing you to control devices even when you are without an Internet connection. Your Honor 8 supports 232,740 products from 5810 brands. It´s awesome that you are enjoying your device! Thank you for the preference!